Just when you think you are ahead of the curve, an oh my gosh moment happens. While adding birthdays to my new calendar, I realized that I had overlooked one. My friend, Jean, lives in Oregon and her birthday is next week. So, I sat right down, made this card just for her and sent it on it's way. For her card, I wanted to follow the challenge over at CAS-UAL Fridays but it also had to be a CAS design. 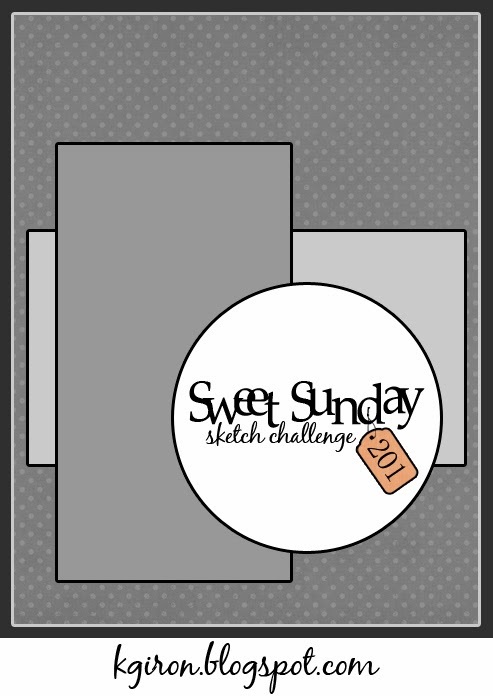 Don't you think the sketch from the Sweet Sunday Sketch Challenge works perfectly? What you can't see is that I stamped a very elegant looking Happy Birthday on the inside of the card using Coastal Cabana on the Wisteria Wonder card stock. Those two colors look great together. Here's where you can find the challenges I used for today's card. Just click on the image and away you'll go! I love my card Miss Marsha! Such lovely cool colors and you know me...CAS is my favorite style! Now if only the dish fit inside the card. Hee, hee. Thanks for celebrating and remembering with me. One can never be old when one has friends as special as you to keep them young at heart. Hugs - J.